While fresh oysters are by far the best way to enjoy an oyster seafood dish, many people don’t have access to fresh oysters and make do with frozen ones. Frozen oysters have already been "shucked" -- removed from their shell -- and are found in the seafood department at the grocery store. Frozen oysters may have a slightly different taste and texture than fresh ones but are still a tasty option for oyster recipes. Thaw the frozen oysters in the refrigerator for a day before cooking them. They can be thawed directly in the bag, but put the bag in a bowl to collect any leaks. Fill the stock pot two-thirds with water and bring to a rolling boil. 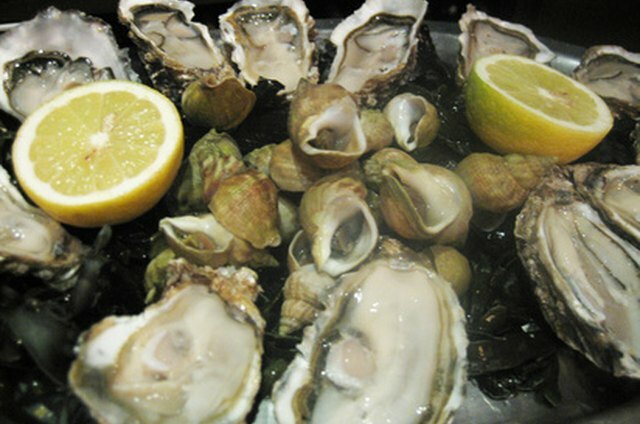 Pour the thawed oysters into the boiling water and boil for at least three minutes. Be careful not to boil them too long as they will become rubbery. 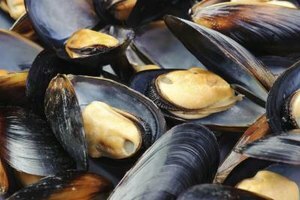 Drain the water into the sink using the colander then use the oysters in your favorite recipe. 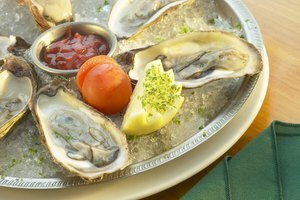 The U.S. Centers for Disease Control recommends cooking oysters at least three minutes in boiling water to kill any harmful bacteria.